Perth, Dec 18 (CRICKETNMORE): Despite being on the receiving end in the second Test against Australia, India skipper Virat Kohli has praised the effort of his bowlers and hopes they carry the momentum to the next games as well. Chasing a challeging 287-run target, the Indian batsmen failed to put up a fight and the entire side was bundled out for just 140 runs on the final day's morning session as the hosts levelled the series 1-1 with two games left. However, the Indian pacers impressed with a disciplined bowling. While Ishant Sharma emerged with figures of 4/41 in Australia's first innings, Mohammed Shami scalped six wickets, conceding 56 runs in the second innings. "The second innings was beautiful to watch, they were outstanding together as a pack. 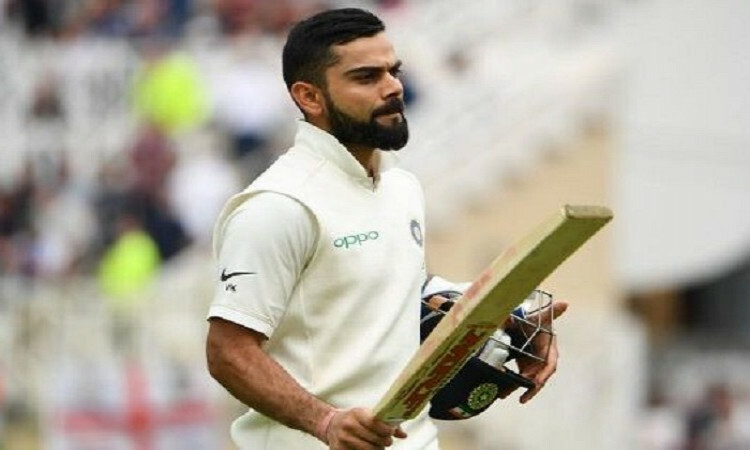 Just to see them dominating with the ball in the second innings was beautiful and that's something we want to build on and take forward to the next game as well," Kohli said after the match. "It was really pleasing to see the way our bowlers bowled relentlessly. When we looked at the pitch, we didn't think about that (Jadeja) option. We thought four quicks would be enough," the Indian skipper pointed out. Meanwhile, Kohli also praised Australia's Nathan Lyon, who bagged a total of eight wickets in the match to help out his side equalise the series. "Nathan Lyon bowled really well on this wicket. With the skill levels and consistency that he has to get something out of this wicket was really good," Kohli opined. Lyon, who was picked as the 'Player of the match' for his notable performance, said: "It is amazing to play a role in a team victory and to have the support here in Perth and all around Australia has been fantastic. It's pretty fair to say we have been in drought and to wrap up their tail pretty quickly was special." The off-spinner, who picked the massive wicket of Kohli in the second innings to firm Australia's grip over the match, termed it as very special. "Definitely those two wickets (Virat and Ajinkya Rahane) are special. Virat is the number one player in the world, to compete against him and to be able to take his wicket is pretty special," expressed Lyon. The two sides will now clash in the third Test, starting December 26 in Melbourne.